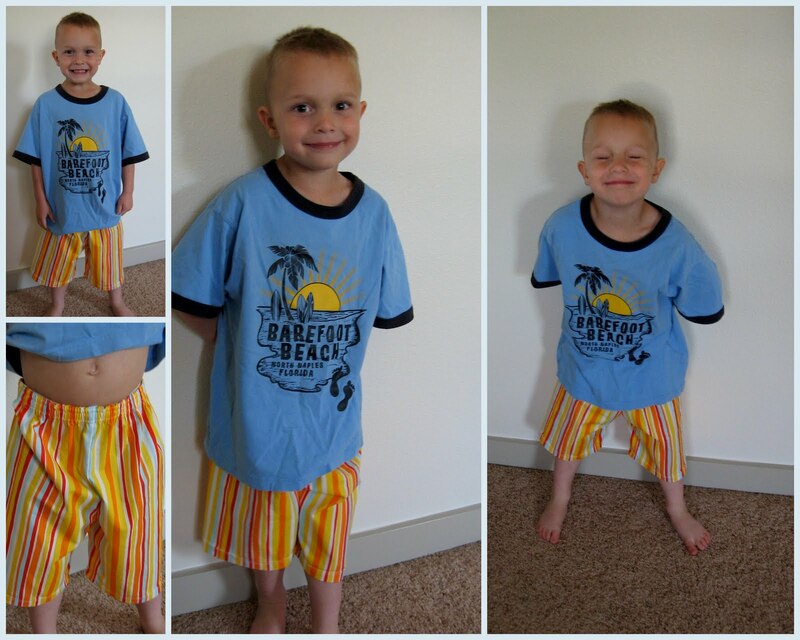 We needed some summery pajamas around here. So, with KCWC motivation, this was one of the projects I wanted to tackle. I also like the stitch over the casing to keep the elastic from rolling. 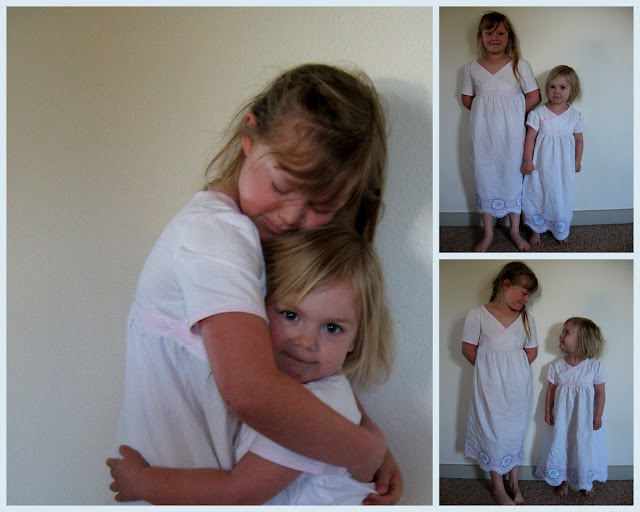 For my girls I pulled out these lovely vintage pillowcases and made nightgowns. The nightgowns were from my great-grandma, and I think she embroidered and crocheted them. The bodice is based on McCalls' 5744, used for pjs for Big Sis. I altered it a bit, and using Gingercakes' tutorial as a guide made a similar design for Baby. I had the fabric in my stash I used for the bias tape detail. Wasn't that pink pinstripe perfect? My girls look a bit like little angels don't they (even if their mean mom makes them take a picture after just getting up)? I'm still finishing up a few projects. My Baby decided to run a fever all day yesterday, and so not much happened. Thankfully it was a 24 hour bug because she woke up feeling fine today! How is your sewing coming? Love, love, LOVE the nightgowns...and those sweet girls! Love the nightgowns. They are so perfect looking for little girls, so much better than what you can buy in the store! Adorable! I need a toddler version for my baby, she is a hot sleeper and summer is coming fast! The pillowcase pajamas are gorgeous. How exactly do you sew over the casing so that the elastic works the way it ought? I've been wanting to do that but haven't because I am not sure how and I haven't bothered to do the research to figure it out. How cute, I have the McCalls nightgown pattern and had not thought of it in awhile. I wish I could look that cute right out of bed! Love those PJ shorts, but those nightgowns... oh, those nightgowns are beautiful, Chris! Love the pajama bottoms & nightgowns, Chris! Handsome little man...and the picture of your oldest hugging your baby the last photo just melted my dang heart. That is soooo precious.